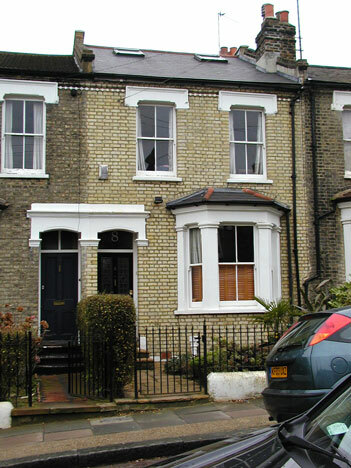 The series of disturbances at a small terraced house in Eland Road, Lavender Hill, Battersea in South London first made newspaper headlines on 15th January, 1928. Harry Price had been aware of what would become known as the Battersea Poltergeist Case from information supplied to him by a private source earlier in the previous month, but at that time had paid little attention to the report. Once things had been made public, Price decided to investigate personally and paid his first visit to the Battersea address on January 19th 1928. For full details of the case, see the entry in the Famous Cases section when this becomes available. 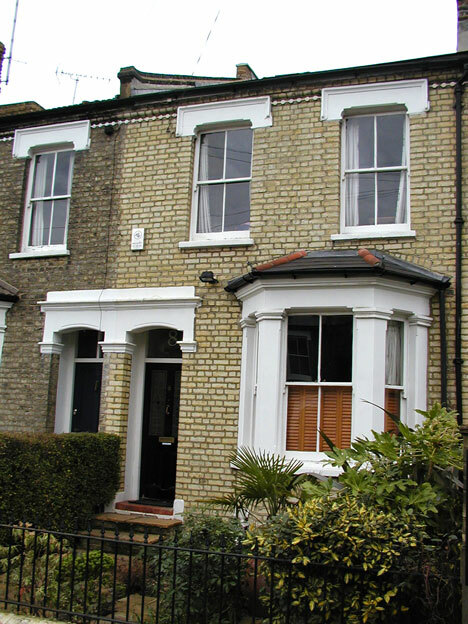 Unlike the scene of Price's most famous investigation, the notorious Borley Rectory (and other famous cases of haunting [in which Price was not involved] such as Ballechin House - The Most Haunted House in Scotland - and the original building in the Hinton Ampner case), the Battersea Poltergeist house has changed little in the intervening years since Harry stepped across the threshold back in 1928, as the photographs on this page, taken by the Harry Price Paranormal Research Group in February this year (2005), show. 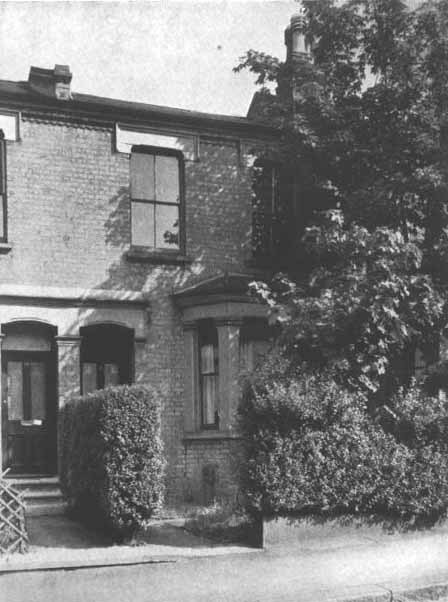 The picture of the house during the time of the disturbances is taken from Price's Poltergeist Over England (Country Life, 1945). Please note, this is private property.